Many people are familiar with the Exodus of the Irish during the Great Famine. But they weren’t the only people forced off their land. An equally tragic, and arguably far more brutal, story is that of the Clearances in Scotland. Many of those forced off their lands in Scotland ended up emigrating in the hope of a better life – and indeed, it could hardly have been worse than they’d experienced. Although some went to America, particularly South Carolina, many more travelled to Canada, especially the east coast of the country. The vast majority of the surnames there still show the Scots heritage. The start of Scots depopulation is entwined with the Jacobite rebellions that were intended to return a Catholic king to the British throne. The first of these rebellions had taken place in 1725, and after its failure a number of disillusioned Scots left the country for the New World. Things became much worse in the 1740s with the defeat of Bonnie Prince Charlie. 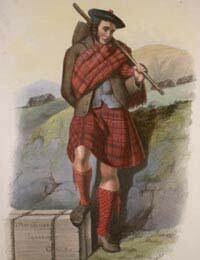 The English were brutal in their revenge, banning the tartan and building forts across the Highlands to keep the clans in check and effectively breaking the entire clan system. The first of the Clearances can be dated to shortly after this period, in 1762, although one of the clan chiefs had tried some of it 30 years before. The families were forced off their lands and pushed towards the coast, where the farming was poor at best. In their place the more profitable sheep were allow to roam the hills and glens. 1792 proved to be a watershed year for the Clearances, but just the first of many. Known as The Year of the Sheep in Scotland, it saw many more poor families displaced and removed to the coast, where they had no shelter until they could build their own. Lifelong farmers, they had to turn to fishing to make ends meet, with their wives tending crops and animals or picking seaweed. Those who were luckier were put directly onto vessels that would carry them to the Americas, to Canada for the Catholics and the Carolinas for the Presbyterians. The early part of the 1800s saw many more Clearances. By now, however, the landlords, all of whom were absentee, had learned their lessons. They didn’t want their tenants emigrating, as it deprived them of labour that was virtually free; those poor Scots were little better than slaves. At the landlords’ behest, Parliament passed the Passenger Vessels Act in 1803, which greatly restricted emigration. Some of these Clearances were conducted as if the people weren’t even human. 2,000 families a day could be evicted at times, only able to take what they could carry and leaving their crops growing in the fields. They’d be forced to move to another place and begin, quite literally from scratch. By the 1820s the landlords had thought yet again about emigration. It was easier, and less of a drain, to be rid of the Highlanders, most of whom only spoke Gaelic and had no education at all. In the wake of that, many more fled the country. Again, Canada was the destination of choice, but some also opted for Australia, which seemed like a new promised land. Ireland wasn’t the only country hit by the potato blight in the 1840s. It affected Scotland, too, leaving many starving to death even as the Clearances continued. It was followed by a cholera epidemic that decimated an already weakened population. At that point the landlords were just glad to be rid of the Highlanders, many of whom, after being forced off their land, went to the towns and cities of lowland Scotland and England, as well as overseas. The overall effect of the clearances, which lasted for well over a century, was not only to depopulate the Highlands, although it did that very effectively. It also came close to eradicating Gaelic from Scotland. Once the tongue of the people, it became replaced with English as the main language, to the point where the 1901 census showed that in some areas only half the people spoke Gaelic. The clearances did create the Scottish Diaspora and most of those who left did find better lives. The vast majority of those abroad with Scots ancestors can trace the family move to one of the Clearances. The piece on the Highland Clearances might read well from a romantic point of view but it is very badly researched and historically inaccurate. We owe it to the Scottish Diaspora to explain the real reasons for the depopulation of the Scottish Highlands over a century or so and only in one or two well publicised cases was it the "evil landlords" and their sheep. They were easy to blame but had a minor role. The three real issues were firstly the crushing of the clan system after the 1745 rebellion (which as a point of fact was not England against Scotland as reported in the piece - history is never that simple and there were many Scots in the redcoat Army fighting against the Highlanders an d supported by most lowlanders). Once the clan systems familial bonds had been systemically broken after Culloden in 1746 there was a hiatus in the previous clan support network and the clansmen were on their own and living as tenant farmers rather than claymore wileders in times of trouble. Secondly the success of kelp processing as a cash crop which boomed during the Napoleonic wars but went into freefall after they finished. Thirdly the potato (staple crop) yields tumbled after the blight arrived. It was all made worse because post Culloden there had been an unprecedented population boom all over the Highlands. And when lack of support, money and food combined at the same time the population quickly became destitute. In most cases the Highland Clearances happened because the population was destitute and had no option but to seek new horizons and the New Worlds were as good a place to head for as the lowland cities, although many went there too.